The wellness industry was abuzz a few weeks ago when a Japanese marketing company, Piala, made headlines for its vacation day policy. In September 2017, Piala made a change to their vacation day policy that gives non-smokers six extra vacation days per year. Why? The company wanted “compensate” non-smokers for the 15-minute breaks smokers take throughout the year. This was particularly interesting given that it happened in Japan, a country where work-life balance is largely non-existent. According to Piala CEO, Takao Asuka, the goal of the program is to encourage people not to smoke rather than punish those who do. When the news broke in the United States, wellness administrators and industry professionals filled with excitement for what was seen as a novel way to promote smoking cessation in the workplace. Unfortunately, few took a step back to understand the practicality of this policy in the United States. An employer offering extra vacation days to non-smoking employees could be subject to the federal regulations based on how this program is structured. For example, if employers relied solely on the self-reported smoking status of employees to determine eligibility for the extra vacation days, they might not be under the purview of the regulations. This is because the program would not be connected to the employer health plan, which could trigger wellness program rules. It is unlikely that employers would give such a rich benefit without any proof, making the analysis a little more complicated. If employers, with the intent of verifying smoking status, decided to require employees to undergo a nicotine test to qualify for the extra vacation days, regulatory concerns may become part of the equation. This is because the program would be distributing benefits (incentives) based on whether an employee completed a medical exam, and disability law limits an employer’s ability to require medical examinations. If the nicotine testing does in fact constitute a formal wellness incentive program, employers would need to also be cognizant of rules that limit the value of the incentive that can be given to employees. The “value” of vacation days can be quite large, especially for white-collar employees. Employers should also consider applicable state laws. While the novel idea of extra vacation days for non-smokers certainly grabs the attention and interest of employers, further diligence needs to be done before considering implementing a program like that. 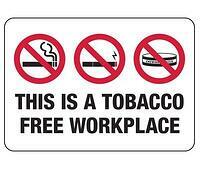 First, employers need to determine how, if at all, they plan to determine smoking status. They also need to consider the total value of the benefit being offered. Since employee compensation differs, employers would likely have to calculate the value of a vacation day across a number of employee pay grades.